Wood County is located in Central Wisconsin between Neillsville and Stevens Point in the central part of the state with the Wisconsin River winding through it. Wood is known for its hunting, fishing, ATVing, snowmobiling, wildlife, bird watching, timber, parks, farms, golfing, cranberries, shopping, biking, hiking, boating which also has Wildwood Park Zoo, Power Bluff, North Wood County Park, South Wood County Park, Nepco Lake County Park, Sand Hill State Wildlife Area, Lake Dexter, Biron Flowage plus a couple communities including; Marshfield, Arpin, Vesper, Auburndale, Milladore, Rudolph, Lake Wazeecha, Port Edwards, Nekoosa, Babcock and Wisconsin Rapids. It's surrounded by 6 other Counties; Marathon, Portage, Adams, Juneau, Jackson and Clark. On this site you can search for Commercial Buildings, Businesses for Sale, Lease, Restaurants, Automotive, Churches, Hotels, Motels, Retail Space, Warehouses, Shopping Centers, Office Space, Bars & Grills, Manufacturing, School Buildings, Gas Station and more... located in this county listed by a real estate agents. Wood County, Wisconsin GIS MAP Information! Are you thinking of starting a small business by yourself as a sole proprietorship? Or with a friend forming a partnership to start that hair salon you’ve always talked about? Is a custom boutique, t-shirt shop or a retail storefront in your near future? 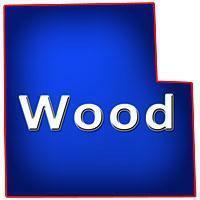 Did you want to Wood County in Central Wisconsin might have just the right commercial property for your future business! Commercial opportunities there include office buildings, garages, stores, shops, greenhouses, vacant commercial lots & land. There are even old churches for sale! This area could be great for doctors, dentists, chiropractors, therapeutic, optometrists, lawyers, accountants, real estate professionals, and more… to open up an office or even a home-based business! Maybe you're tired of putting in long hard hours for someone else and want to become your own boss. Maybe you just want to pick your own hours at your very own store. Can you see yourself owning your own grocery store, hardware store, craft shop, specialty store or tobacco shop? Maybe it's a gift shop, bait shop, 24 hour convenience store or a Liquor store you've been dreaming about. No matter the reason, no matter the type of business you desire, even if you just want to invest some money, Central WI could be right for your new venture so, Buy a Wisconsin Commercial Property today!